The Doggie Spot in downtown Shawnee, Oklahoma, offers dog training courses, grooming and pet supplies. Classes include Puppy Training: Puppy Perks, Wild Child, FUNdamentals of Training, and Doggie Skills. A Doggie School, or doggie daycare, is also available with half-day or full-day options offering basic training, exercise, socialization and play time with other dogs. Schuetzner is a descendant of the Bennett family, and she opened the store five years ago. However, her fondness for canines began as a child on her grandparent’s farm in Seminole. She said for many people, their companion animal is all they have. “I’ve met so many people in my life, not just doing this — so many kids, so many adults that say, ‘My pet is what got me through a rough time,’” she said. “It’s amazing how the animals are so in tune to us,” she said. Schuetzner said dogs are like children, and they are capable of reading human emotions. “Ninety percent of problem behaviors are a direct result of the dog being bored,” she said. She encourages owners to keep Fido’s mind challenged. Her store sells toys, including KONGs, which can stimulate and enrich their brains. “If you don’t have the money for KONGs and stuff, get a milk bottle. Drill holes in it, and put their kibble in that,” she said. Schuetzner said The Doggie Spot offers the best products at the lowest price and holds free quarterly training courses. “We sell stuff that you can’t get other places in Shawnee, and it’s usually made in America or Canada because their food has a higher quality than ours,” she said. She encourages clients to use dogfoodadvisor.com when looking for the best dog food brands and recipes. Schuetzner’s 3-year-old black Labrador Blitz, short for Blitzkrieg, is certified through the North American Police Work Dog Association as a cadaver dog. 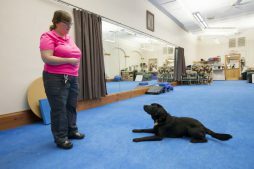 The Doggie Spot owner Khara Schuetzner specializes in canine scent training. His services aid with cold cases, cemetery recovery and missing person cases. “Taking on cases means closure for the family, evidence for the prosecutor and justice for those who can no longer speak,” she said. To keep up on his certifications, Blitz trains for at least 16 hours a month. “Blitzkrieg is the only NAPWDA Cadaver dog that I know of in the state, but there are other cadaver dog teams through search and rescue programs,” Schuetzner said. She hopes Blitz can help tribes locate cemeteries and unmarked graves. Shortly after opening the store, Schuetzner learned she had breast cancer — the same type her mother and other family members experienced. Knowing her family’s medical history, Schuetzner began preparing years before her diagnosis. Doctors said her prevention efforts might have kept the malignant cells from spreading throughout her body. Schuetzner’s family, friends and loved ones inspired her to not give up. She decided to name her cancer Felix, and said when others reach out to her for advice, she encourages them to follow suit. The only true thing one can control is their attitude, she said. She attempts to take her own advice. While receiving treatments, Schuetzner almost closed The Doggie Spot’s doors. Through the support of others, her business still thrives today. To help repay the favor, she donates to several local organizations including the Seminole Humane Society; S.P.A.R. – Saving Pets at Risk; and OK Save A Dog. She’s also helped with awareness campaigns for domestic violence by partnering with the Citizen Potawatomi Nation House of Hope. Because of her respect for elders, Khara made the decision to move back to Oklahoma. Before opening in downtown Shawnee, Schuetzner worked as a scientist and spent several years teaching inner-city youth. After stints in Argentina and Chicago, she decided to make Shawnee home. 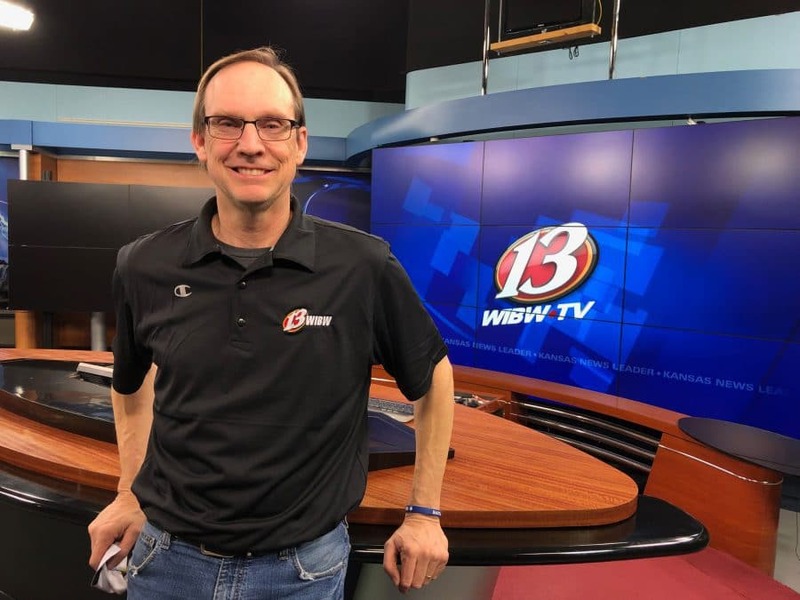 “I was teaching and training dogs when we moved back to Oklahoma for my grandparents,” Schuetzner said. Schuetzner said she didn’t know her mom helped other patients.